Here is my dyno from yesterday. Pic is not the best. I'll change it when I get it scaned. Egts never got above 1350 and IAT never above 125. Nice bit of smoke at the begining, but cleaned up nice for the rest of the pull. Mods are in my signiture. Last edited by Tbirdtree; April 11th, 2009 at 15:53. Tbirdtree!.......you may want to look into a fuel cooler now that you have the 11mm fitted. A3 / mk3 golf with 249Whp "Now in the hands of someone else"
Are you running a stock tune or did I miss who tuned the ecu in your sig? This was today 4/11/09 with IBW!! because of the DOWNPOUR rain, the DSG guys told us to add 10% to what the sheet shows (humid air). Hard to see, but the sheet kisses 160 HP and 305 TQ. Last edited by btcost; April 11th, 2009 at 17:07. Opps. Must have deleted it when I was reworking my sig to make everything fit. This is one of Kerma's tunes. TDI(s): 2003 golf gl reflex silver (sold) 2013 TDI 2 door Golf Blue Graphite Metallic 6MT Premium Package. No clutch slip with that much torque on a VR6 clutch? Suprised me too. It's a VW g60 flywheel and a Sachs clutch. Must be a good one, also only 30,000 miles on it. Put the Boxer Diesel up on rollers today. 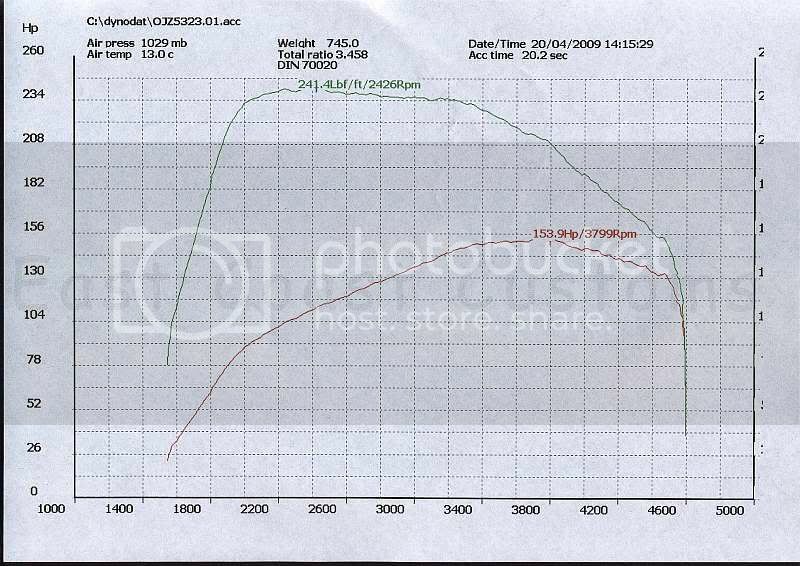 This was a Dynomet 4x4 dyno, no brake applied. 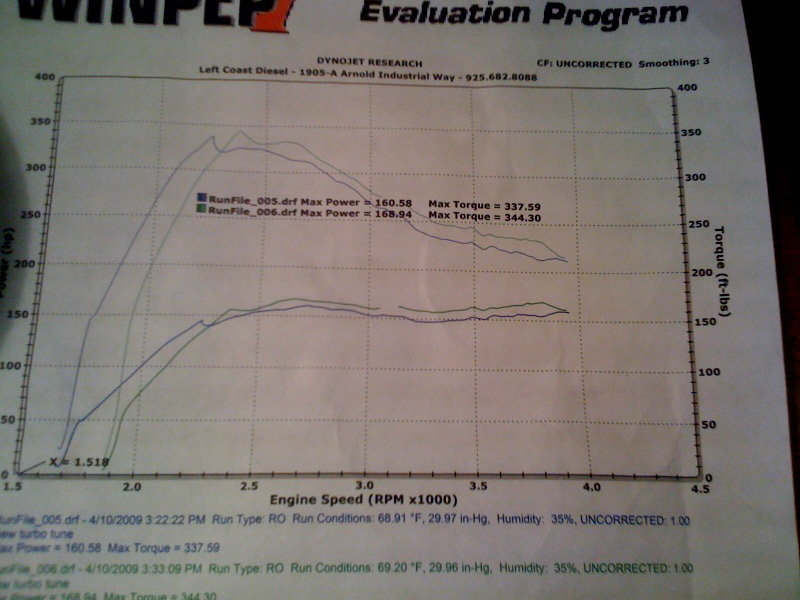 RPMs calibrated from wheelspeed only- but pretty close, calculated ratio within 0.03 of actual. Transmission losses calc'd on coastdown. 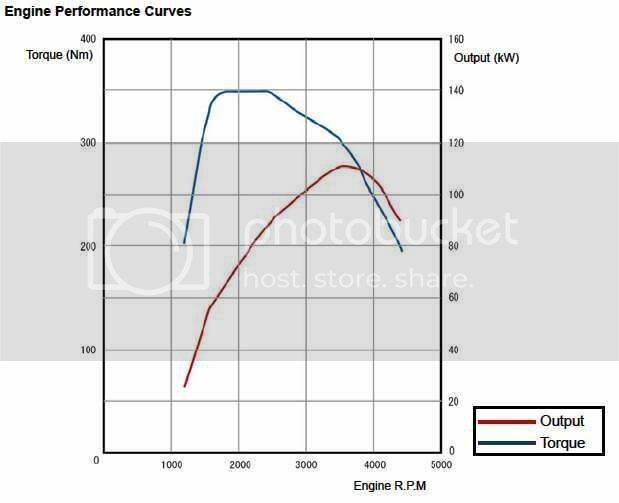 Bone Stock baseline on a 12k mile engine; absolutes not important.